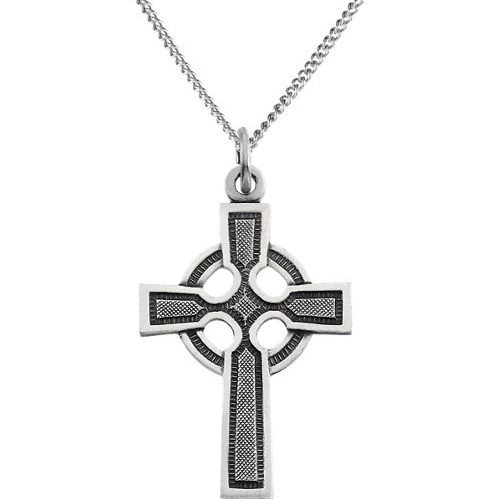 Polished sterling silver Celtic cross pendant includes free 24-inch sterling silver curb chain. Dimensions: 28mm by 20mm. Weighs 7.96 grams. Please note: weight is approximate, actual weight may vary. Chain not included.